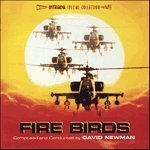 Accueil Produits Bande originale La bande originale de “Fire birds”. Sortie : 29 avril 2013. Reunion, Billy And Preston – 1:55. In The Bag – 4:34. Flight To Camp – 2:23. Brad And Preston – 2:34. Gates Of Hell – 11:18.